At Gig Harbor Automotive Service, we will gladly work on virtually any make or model of vehicle. We have the latest technology, tools, and equipment to ensure each repair and service is completed accurately and quickly. Our Gig Harbor auto repair technicians are constantly receiving training regarding factory tools and services to ensure your vehicle is always up to date. Our attention to detail is unparalleled and our technicians are experts at all levels of the auto repair process. Our wonderful staff is hand picked and they all work together with excellent chemistry. Our goal is to provide you a great customer experience as well as the absolute best in Gig Harbor auto repair service. We’ll gladly work on any vehicles under warranty, so you do not need to return to the dealer to have warranty work completed! 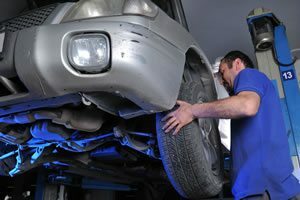 Let us take the hassle out of auto repairs and services. With our free local shuttle, we’ll make sure you get where you need to go. Once you stop by, you’ll see why so many area residents have joined the Gig Harbor Automotive Service family! Standard Maintenance Services & More!